The Bird Seeds, That Birds Love! Remember our friends at eBirdseed.com they have a wide variety of "Wild Bird Seed" and they will deliver it right to your front door..**FOR FREE**..Yea! can't beat that! I hope this "Wild Birdseed Chart" helps you out. Feel free to copy and hang on your fridge for a quick reference when you go out shopping. After looking over the birdseed chart, you may want to make some of your own "Seed Combinations". 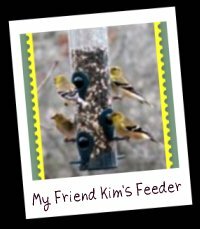 I have included some Bird Seed Recipes! Making your birds their favorite meal using your own recipes is a lot of fun. This is another fun activity that the kiddos like to be involved in. Have Fun!! 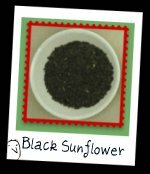 Make your recipe using lots of black oil sunflower seeds and you will see all types of birds flocking to your feeders. In a large bowl, pour in: 3 cups of black oil sunflower seeds 2 cups of millet 1 cup of crushed- shelled peanuts (or other nuts). Using your hands, mix the ingredients thoroughly. Place the mixture in your bird feeder. You can double this recipe for a larger batch. 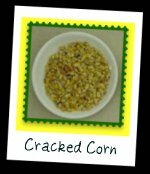 3 cups of cracked corn3 cups of commercial mixed birdseed 1 cup of oats. *A large bucket makes a good mixing container. *A good birdfeeder to use for this mixture would be a platform feeder. This is a messy feeder, but there are lots of birds, like doves, that like to eat from them. If you have the red winged blackbird in your area, you'll definitly want them to come to your garden. They love a mixture of bread and cracked corn. In a large container. Mix the ingredients thoroughly then place in your feeder. They like the striped sunflower seeds. The shell is very hard and is difficult for the smaller birds to peck open. Pour into a large bowl and mix well. Make sure the mixture will come through the feeder that you use. I hope you enjoy making your own bird food using these Bird Seed Recipes. I have located a company called eBirdseed.com which will deliver a variety of quality bird feeds directly to your door.